Selecting a roof is an important decision for all home and business owners. And, once the right, strong roof is installed, you will want to make sure it lasts as long as possible. To ensure proper roof care, always hire a skilled technician familiar with the most sound roof systems who will get the job done right. 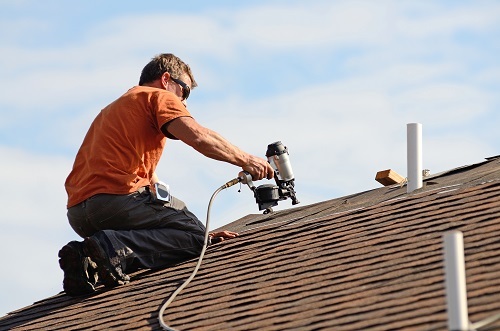 Choosing an experienced, competent company, whether you are focused on routine maintenance or need a complete replacement, is the first line of defense in extending the life of your roof. A roof leak is a major inconvenience and if it’s not taken care of right away, it can cause major damage to the external and internal structures of your home. Once you see the symptoms of a leaky roof, try to determine its cause before attempting any solutions. An aged roof is more likely to have damage and leaky issues as roofing material weakens over time. Harsh weather conditions and exposure to sunlight will also lead to the deterioration of your roof. Overtime, this makes it more vulnerable to water getting in and causing damage. Unfortunately, leaks can easily go undetected, which is why regular roof inspections by an expert is recommended during seasonal maintenance work. If you do notice a leak, this is also the ideal time to call for help rather than taking on a DIY project, especially if your roof may be under warranty as your interference could void this contract. You may not realize, but clogged gutters can cause your roof to leak. If your gutters are not regularly maintained, leaves and debris can build up and prevent rainwater from properly draining. When the water sits still and piles up in the gutter, it can pull the bottom edge of the roof down, causing a slow deterioration. Or, the water might seep in between the roof tiles, where mold can grow, leading to at least a partial roof replacement. For this reason, at a minimum, you should regularly clean your gutters. This deep clean should occur at least twice per year; each spring and fall. If there is a lot of debris or simply a task you do not want to take on yourself, reach out to your local roofing professionals to get the job done. Cleaning gutters on a regular schedule will keep your roof safe from potential internal and external damage. Trees around your home can really contribute a beautiful view and even add value to your property. However, in time, branches may start to hang over your home and branches too close to the roof can be a threat to the roof’s condition. Branches that scrape on roof shingles can strip off asphalt. Also, if they are leaning over the roofline, leaves will fall onto the shingles or gutter and create opportunities for mold to grow and gutters to clog. If a tree is large enough, a storm may also cause branches, or even the entire tree, to fall onto you home. While trees provide excellent shade and value to your property, you have to properly maintain them and make sure that there are no threats to your roof and safety of those in your home. If you notice your tree branches encroaching, it’s recommended you contact a local tree company to address the issue in order to prevent damage and injury. Animals and insects often find a safe haven in roof spaces of a home. Unfortunately, these visitors can do some real damage to a roof without you even realizing. A home exterior should be properly sealed to prevent animals and insects from making their way inside. Some animals or insects to look out for are bees, bats, squirrels, raccoons, and rats. These animals can cause problems to the roof, attic, and electrical wiring of the structure. Be sure to check regularly for signs of trouble such as gaps or missing pieces of wood, openings in the wall claddings/sidings, ajar gable vents and windows, openings at the ridge vent, and open chimneys. For some of these you may need a ladder to investigate a potential issue, so if you are uncomfortable doing so, hire someone skilled in sound roofing systems to perform your maintenance checks. Additional signs of infestation include: scurrying sounds, signs of gnawing on wood or electrical wires, smells, signs of urination, and hives. Always be aware of these signs to clear the area from unwanted animals and insects if you want to extend the life of your roof. Schedule a regular inspection at least once per year with a professional who will clean your roof and gutters and ensure the health and quality of your roof. This professional will look for any signs of deterioration, clogs, mold, and even examine your vents, as well as look for signs of leaks or other damage as the most experienced roof repair team knows that catching problems early is the key to extending the life of your roof. A skilled professional will be able to see signs of damage and take the right steps to identify and rectify any issues so that your roof lasts for as long as possible. Replacing a roof can be quite costly, so make sure to take the proper steps and you will have a quality roof above your head for many years to come. If you live in the Vancouver or Portland area, we have over 40 years of experience and guarantee excellent quality, value, and service. Reach out today for an estimate or additional information. 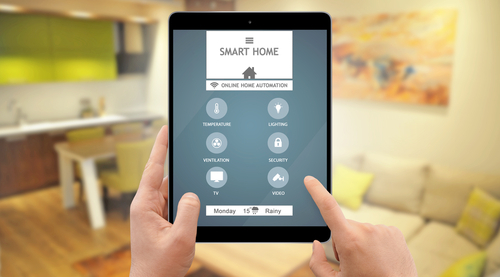 The variety of technology available to today’s homeowner is frankly astounding. There are so many tools, gadgets and upgrades to old equipment that it’s often hard to sort through all of it. Deciding whether you even need some of the modern equipment that is available to you can be a bit of a challenge sometimes as well. Some of them are incredibly useful, while others may not offer a measurable benefit. One new type of technology you may have considered is the WiFi thermostat. This article will help you examine what the ideal thermostat is for your home and whether a WiFi thermostat is worth the investment. What is a WiFi thermostat? As its name implies, the WiFi thermostat is able to connect to the internet in your home and control the temperature through the use of an app on your phone. If you’re a little too cold or too warm, you simply tap the screen of your smartphone a few times and change the temperature a few degrees. A WiFi thermostat also has the benefit of keeping you updated on the status of your home when you’re not around; this can be particularly helpful if your heating system breaks down, potentially putting your pets and plants in danger from the cold. Your WiFi thermostat will update you in real time and allow you to address the problem quickly. A WiFi thermostat gives you the ability to control the temperature of your home remotely. For many people, this is enough to make it the ideal thermostat for their lifestyle, but there are a number of other benefits a WiFi thermostat has as well. The ease with which you can use them is a huge selling point for many homeowners. While other thermostats require time and effort spent programming and reprogramming throughout the year, a WiFi thermostat can be reprogrammed with a few clicks on your smartphone’s screen. They also have the ability to detect when you have returned to your home, and make adjustments to the temperature accordingly. They even have the ability to learn your schedule over time, and begin predicting when you will need to make changes in the temperature. Going green is all the rage these days, and every seemingly small step you can take to save energy in your home can add up to save you a lot of money on your energy bill. Making use of a WiFi thermostat is one of the best ways you can save money across the seasons. Temperature adjustments can be fully automated and therefore extremely efficient; a WiFi thermostat will monitor the temperature constantly and make adjustments whenever necessary. When you leave the house, or go to bed, you needn’t worry about adjusting the temperature as your smart thermostat will do it for you. 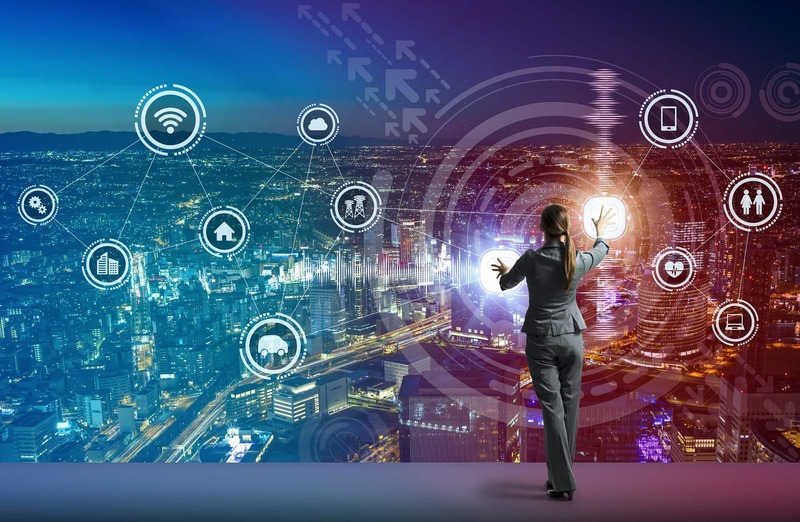 It can also monitor and adjust the temperature in individual rooms; so the living room, for example, can be kept at a comfortable temperature while rooms in your home that are less trafficked can utilize less energy. While the exact amount of money you can save on energy costs will vary depending on the climate you live in and the efficiency of your HVAC system, many homeowners notice a significant drop in their energy bill after having a WiFi thermostat installed. The ideal thermostat should be constantly monitoring temperature and climate conditions at all times, and that’s what an effective WiFi thermostat is able to do. It can constantly make adjustments based not only on the indoor and outdoor temperature, but on other factors such as the humidity as well. In addition, it can monitor the efficacy of your HVAC system itself. Over time, your HVAC system will become less efficient and require maintenance; a smart thermostat can detect when you need to call the experts and make repairs as needed. With that much detail, you’ll not only save money in energy costs but in maintenance as well; since your thermostat will constantly update you on the status of your HVAC system, you may be able to avoid the costly repairs that come with undetected major problems. You can choose to have the information you need emailed to you regularly. One of the key benefits of a smart thermostat is its ability to work in conjunction with the other devices in your home. For example, you can connect it to your Amazon Echo and adjust your temperature using voice commands. Besides tying into your phone, you can also connect your thermostat to your laptop or desktop computer and make whatever adjustments you need this way. Some WiFi thermostats are also capable of playing music or displaying family photos, should you wish for them to do so. Having a WiFi thermostat is one of the many parts that work together to make up a modern, smart home. If you decide that having a WiFi thermostat installed in your home is the ideal choice for you, do a little further research online to decide which thermostat is best suited to your specific needs. There are many options; popular choices include Nest and Honeywell, although there are quite a few others on the market that may be the ideal thermostat for you. After you have carefully considered which thermostat to invest in, contact a reputable HVAC company to inspect your heating and cooling system and help you with the process of installing your new thermostat and ensuring it is properly monitoring the temperature in your home. You will also need to install the necessary software on your phone and program the thermostat to your particular preferences. Once you have done all of this, the rest should be easy! You will be able to relax in a home that is always at the exact temperature you want and save money in the process. Palm Springs is undoubtedly known for its stunning golf courses, hot springs, stylish hotels, world-class spas and more. This amazing town is full of the great scenic beauty, offering visitors beautiful hot springs experience, new midcentury architecture and breathtaking tram tours. I loved Palm Springs in my tour of southern California – The town has everything we needed such as hiking, biking, horseback riding, restaurants, Palm Springs vacation homes, Ariel tramway, and living desert zoo, etc. Along with these, there are tons of things to do in palm springs with kids. Palm Springs is a social destination place where you can enjoy happily with your family. Now, if you are planning to visit palm springs and strive to know about the things to do in palm springs with kids. Then don’t worry we got you covered in this article, check out our 10 best things to do in palm springs with kids. Kids always love to watch animals, and the best place to watch them is the living desert Zoo. It is one of the best spots in palm springs where you could spend an enjoyable time with your kids and family. The Zoo in palm springs is smaller when compared to the other zoo’s in united states, but it is the house to 600 plus animals. It is one of the incredible places to experience real joy & fun activities with your family. The kids mainly love to watch giraffes spot in the zoo, because they can get to feed giraffes and kids love this experience so as adults. Along with these, they will also enjoy watching the butterfly exhibit, African monkeys place and Camel tours as well. When you visit the living desert zoo with your family, don’t ever miss the excellent model train display & the gecko gulch playground as kids will have great entertainment in these spots. You can find different wild cats, hoofed mammals, and other wildlife species as well in this zoo. Kids always love to experience tramway tours as they love heights. 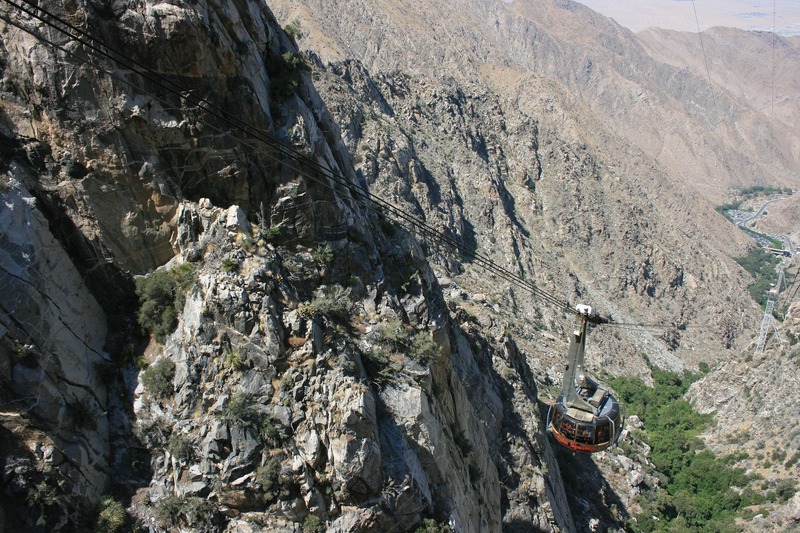 If you are planning to visit palm springs, then keep these tramway tours in your to-do list. This is probably one of the favorite things you have to do with kids and families. Here all you have to do is take a go for backpack your bags and go towards the tramway road. Then you’ll come across the canyon- hugging gondola ride. Just take a rotating car inside the old station and soon after boarding it you’ll find a double-digit temperature drop, and soon you will realize that you are on the top of the Coachella Valley. This rotating car lingers will be stopping at the mountaintop where you can find lots of restaurants, cafes or hiking activities as well. Usually, the Greater Palm Springs areas cover nine cities, and you can take an exciting trip around the Coachella Valley from the Palm Springs Tramway. The tramway experience in winter season is simply incredible because of the Snow. Most of you might be wondering about snow in the desert??? But I bet you’ll find snow, and It is enough for a surprise, this memory will last longer because you can experience some incredible scenes in winter tram tour. Even in summer, you’ll find out hiking and camping experiences. So, no matter which season it is kids always loves tramcar. Kids always love to watch planes, and in my experience, some kids are even more fascinated to watch planes. Now, if your kid is fascinated with planes? Then you should be visiting the Palm Springs Air Museum. It is the best place to watch out the Korea and Vietnam combat aircraft. In this Air Museum, you’ll find more than 40 static and flyable planes right across the three air museum warehouses. You can have a glance at the B-17 flying fortress to the incredible vintage F-4 fighter jet along with the normal aircrafts such as PBY, C-47, etc. If you can afford to abord, then you can aboard planes like C-47 Skytrain and the vintage P-51 Mustang. With all these experiences kids can even learn about more about the aircraft. So, this is the best thing you have to do in Palm Springs. Do you love to watch flowing water that too in the of the middle of the Sonoran Desert? I bet you’ll like to see these visuals as it is one of the Rear things. To experience it, you have to take a two-mile loop, and it will lead to a 60 feet waterfall which is raffled into the ” Tahquitz Canyon.” These stunning waterfalls are located within the Agua Caliente Band, and so you have to pay a minimum admission fee to visit a waterfall. But guess what? It has impeccable maintenance, unlike regular waterfalls it also has ranger-led hikes. If you are on a tour of palm springs, then you have to look at this gorgeous waterfalls. No matter, what age group you are you’ll love this trip. Kids usually love horseback riding so that you can make use of horseback riding in palm springs trip. You can find lots of tree stables in the palm springs. The only thing you have to do is select the best one you like to go along with your trip. In most of the cases, horseback riding is an obvious choice for families as well. So, it’s better to experience the horseback riding in the palm springs trip. Kids always love cycling, if your kid is fascinated with cycling in Adventurous places then take your kid to the lotin palm desert. Here you can find a 20-mile cycle adventure sport. This spot involves riding along the San Andreas Fault. However, there will be support vehicles nearly 500 meters before the riders all along the road, so there is no need to worry about your kid’s sport. In this cycling trip, there will be no turns, no crossroads, and decidedly less traffic. You can find jagged strata and paloverde tree throughout the roads. While riding along the route kids have to cross the desert training center as well. Most of the kids love these type of adventures, so it is the best place to let your kids play & enjoy riding a bicycle. Kids are usually active, and there always try to do some tasks. If you kids are similar to that, then they will love this kids discovery museum. As this museum has over 80 hands-on fun & exciting activities. So, this is an excellent place for all the kids to explore themselves. If your child is inactive, then these types of places will help them to get them out of their present state. So, you shouldn’t miss this when you are traveling with your kids. The road trip to the Joshua tree is pretty awesome. If you want to explore the Joshua tree, then you have to travel 45 mins away from the palm springs to come to this fantastic park. Kids will love this place because the scenic beauty of this park is indescribable and Joshua tree is, in fact, the best attraction of this place. Indian Canyons are the located right at the south of the palm springs. There are divided into the three canyons one is Palm Canyon, Murray Canyon, and Andreas Canyon and these are right at the lands of Agua Caliente. All these three places offer the hiking, and you can see some breathtaking desert scenery along with other activities in this place. Visitors will always state this place as peaceful and also stunningly beautiful. But the only problem is temperatures is a bit high in this place. So have to be careful about temperatures. Kids always love watching dinosaurs whether it is a toy, movie, or statue. If your kid loves dinos means you can take them to the 100 ton T-rex and brontosaurus sculptures on their way to the palm springs. You can find some funny activities over there along with the interesting facts on dinosaurs. Kids shouldn’t miss this so make sure include this on your to-do list. These are the ten best things to do in Palm Springs with kids. Kids and families will definitely love these experiences because these are simply awesome. We’ve tried these in our trip now what about you? Let us know your views in comments section below. We all need to think about the future, whether our pension pot will be big enough once we’ve retired, and if it’s going to be possible to stay in our home. There’s an expression that my family like to use “We need to future-proof this”, which means “We need to make sure it’s ok if our needs change in the future”. Let’s imagine that we want to buy a car, we need to make sure that the car we buy is future-proof, in other words, is it suitable for a growing family? Will all our future children be able to fit in it? The same can be said for your home, is it future-proof? Or you do need to adapt it so that it is? We can all make a few changes to our home so that if and when the time comes we can continue to live there for as long as possible. As we age we may not be as mobile as we once were and we could find that visiting the bathroom upstairs is not as easy as it once was. This is why you may want to think about installing a downstairs bathroom. My uncle converted an old cupboard under the stairs into a bathroom as my grandfather started to find it hard to walk up the stairs. When it comes to getting up the stairs you may be happy to get up and down on your own with a stairlift but my grandfather said he’d prefer a bathroom downstairs. Fast forward a few years and we have installed a stairlift which takes him up to his bedroom at night so he doesn’t have to sleep on a makeshift bed in the lounge. If you ever have the chance to buy a bungalow you may want to give it serious consideration. Bungalows are easier to live in than a house with more than one set of stairs. They also tend to be a lot bigger inside than you think which means you may not need to downsize at all. A bungalow is ideal for anyone who struggles to walk or is likely to have future mobility issues. Many new homes are being built with wide door frames, however, many people still live in older properties that have narrow door frames. You may want to think about future-proofing your home by widening your door frames so there’s enough room for a wheelchair to pass through them. Wide door frames are usually easier to pass through when you’re walking with a frame or a stick as you’ll have enough room to manoeuvre. Future-Proof your home as soon as you can so you don’t need to make any adaptations in a hurry. Think about what your future needs may be and make the changes that could ultimately mean you can stay in your home for many more years to come.